The United States Foodservice, a leader among food distributors in America, continues to strongly advocate the implementation of food safety programs to protect the whole of America’s food chain. Just this week, U.S. Foodservice’s Senior Vice President, Jorge Hernandez, delivered a presentation on food safety entitled “Food Safety from Farm to Fork.” The presentation was held at Chicago’s Forum on Food Safety and Technology Innovation. According to Hernandez, the importance of food safety will continue to exist, even worldwide, as the nation’s supply becomes even more global. He added that the organization’s food safety plan has always worked because they partner with every sector of the food supply industry like growers, distributors, processors, operators and most of all, the government. It is the organization’s way of ensuring that their food is safe, from harvest to consumption. 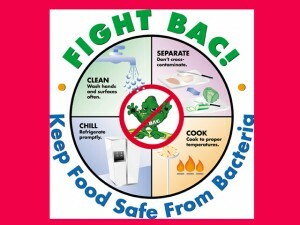 Since March of this year, food safety experts of the U.S. Foodservice have been presenting the organization’s program on food safety. In the presentations, the group focused on how to reduce the 48 million incidences of foodborne diseases every year in the country. The group suggested the incorporation of safety programs and modern food testing as a way of reducing these incidences. According to Hernandez, a number of operators do not grasp the importance of knowing the risks that are present in every part of the food chain, like in transportation. For instance, operators who transport their products (raw vegetables, meat) to restaurants do not know the associated risks, like potential food poisoning. Even a single case of food poisoning can deal a damaging blow to an operator’s business and reputation.